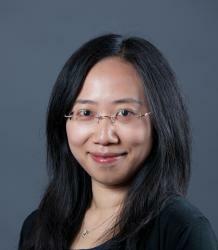 Ting Guo received her PhD in Translation Studies from Aston University (Birmingham) in 2009. After the completion of her PhD, Ting worked as an Associate Research Fellow on the ‘Global Circulation Project’ at Exeter University, and Instructor in Chinese at University of Ediburgh. She is currently working as a Senior Lecturer in the MA Translation Program and Chinese Program at University of Exeter since 2011.